and marital infidelity charges. He was popular because he was an outsider with different ideas and a far different angle on politics than most of his peers in the debates. Despite his effort, the MSM was effective at removing a real threat to the Obama regime. Something else the American people are starting to realize is that Ron Paul has been saying the things they have wanted a presidential candidate to say, without the sheen of a polished professional politician(that was not intentional, but it was funny. )They have heard him say it before, unfortunately they went with the same tired schtick and got shafted when their choice for POTUS got stomped flat by Barack Obama. The same man who would in three years do more damage and spend more money than the last three presidents combined(The total amount of deficit is far greater than all the presidents combined.) As things continue to sink, people have finally hit rock bottom and are finally opening their eyes. Ron Paul was in the far back corner of the room looking mopey and sad, unable to reach double digits in the polls. His last couple of showings at the debates have, however had a dramatic effect on his numbers. He is now surging in Iowa, running just one point behind Gingrich in the most recent straw poll there. He has won the Cedar Valley Tea Party Presidential Straw Poll, and in Florida he had an overwhelming victory in Pasco County's first Republican Party straw poll. Drake University's first student straw poll saw Ron Paul winning with 35% of the vote, and Ron Paul won an Oklahoma straw poll a few days ago. I think it's safe to say people are noticing the man, even if the media continues to ignore and marginalize him. 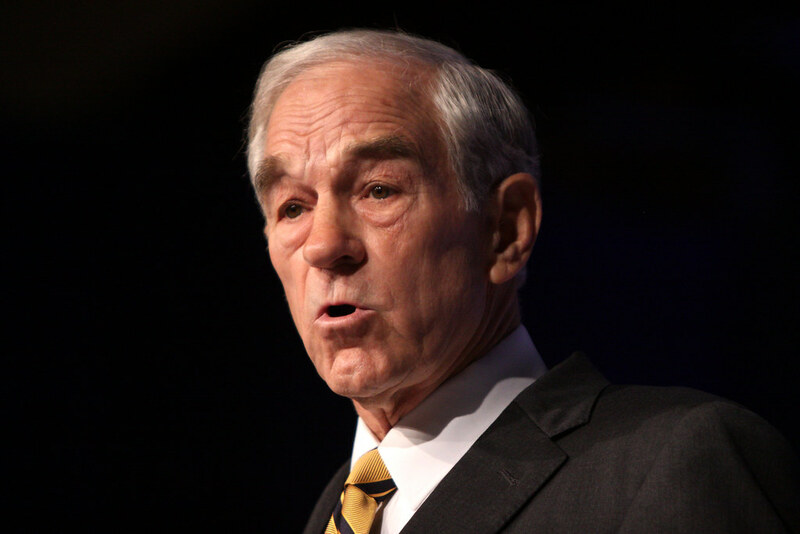 With Paul within a point of Gingrich this close to the Iowa Caucus, and Iowans cooling to the Newtinator, Ron Paul may just pull a rabbit out of his hat and shove upset into the faces to the GOP poster boys. What about New Hampshire? Does he stand a chance, or will it go to the man with perfect hair, Mitt Romney. 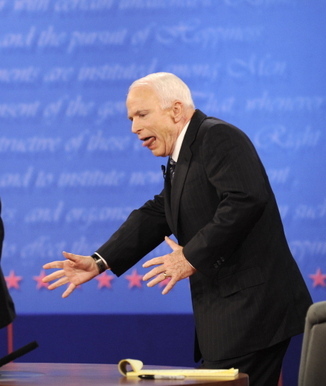 Perhaps Gingrich will sweep in and knock them both out with his flabby cheeks. Don't worry, that nightmarish image of Newt Gingrich slapping people with his fat guy cheeks will fade with time. The real question though, is this...even if Ron Paul aces some of these caucuses and primaries, will the GOP still ignore him and go with one of their face first all-stars, or will they grow a pair and actually listen to the American people instead of ignoring their wishes and continually telling them what's best for them with another craptastical candidate who will lose to Barack Obama the same way John"Count Chocula" McCain did in 2008.